DEAL of the Day- temporarily marked down from $12.50 to $9.00, today only. Happy beading! 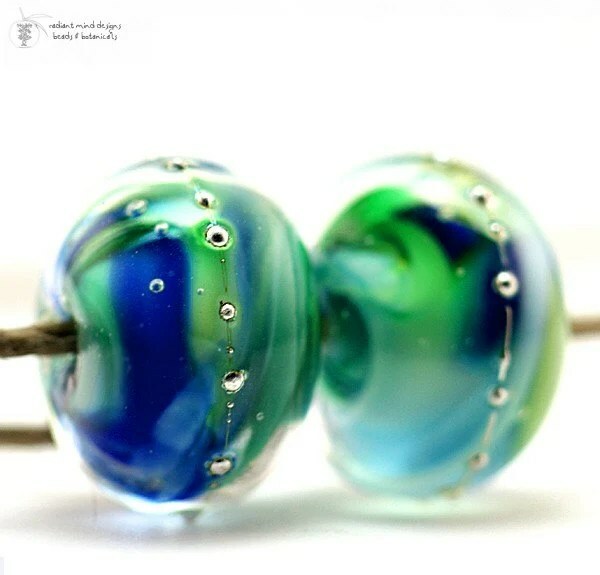 Handmade Glass Art Beads | Good Green Earth Rounds | Inspiring shades of Parrot, Teal, Turquoise, Cobalt, and Forest Green, over a base of white, with Fine Italian Silver droplets. 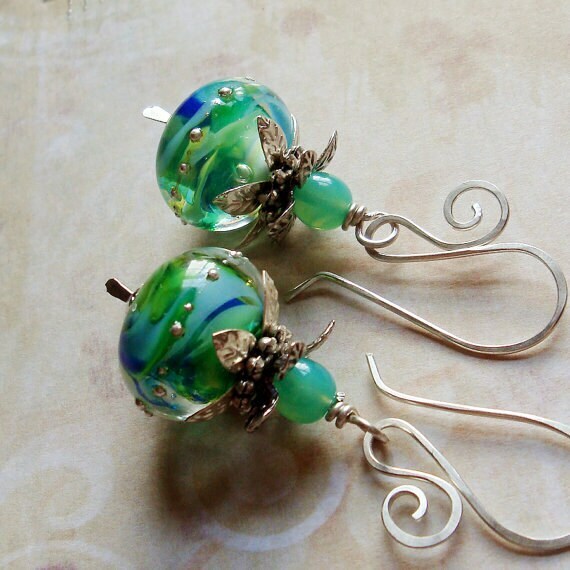 Two (2) Glass Lampwork Round Beads, 13-15mm with 2mm bead holes. Posted in daily deal, deal of the day, round beadsBookmark the permalink.